How do you prioritize leads intelligently? Tracking the behavior of current prospects and their level of engagement can help determine their place in the buying cycle. Assigning points for various actions, lead scoring provides a data-driven approach to delivering the right message to each prospect at the right time. Organization is essential in every element of business and sales are certainly no exception. One of the best ways to organize a path to increased sales is through lead scoring. By assigning a point scale to each lead based on our proven scoring system, your sales force can allot their time to only the most promising candidates. In addition to the priority or worth of a lead, lead scoring will also categorize leads by sales, partners, etc. When both of these elements work in unison, we’ve discovered the perfect lead for your business. Lead scoring starts by looking at the history of the prospect’s business, the sustained growth of their company, the projected future of their industry and so much more. We will then look at their involvement with your website. If they are visiting daily or have taken the time to sign up for newsletters, white papers, etc. the lead score will be high and a conversion will be likely. If a prospect just has a strong business, but doesn’t seem to have a huge interest – the sales score will be low, but the potential will be far from dead. Lead nurturing can target the larger prospects and have their lead score grow over time. Lead generation is a never ending process and with our proven lead scoring system, LeadGeneration.com guarantees your best potential at new sales. Want to learn more about how lead scoring can help your sales team? 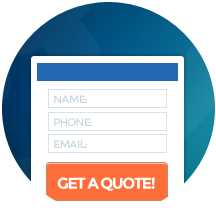 Contact LeadGeneration.com today to discuss custom solutions for your team.